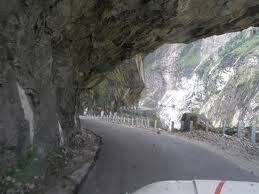 Travelling on Hindustan Tibet Road was a marvelous experience. I was surprised to see the great efforts made to build the road. 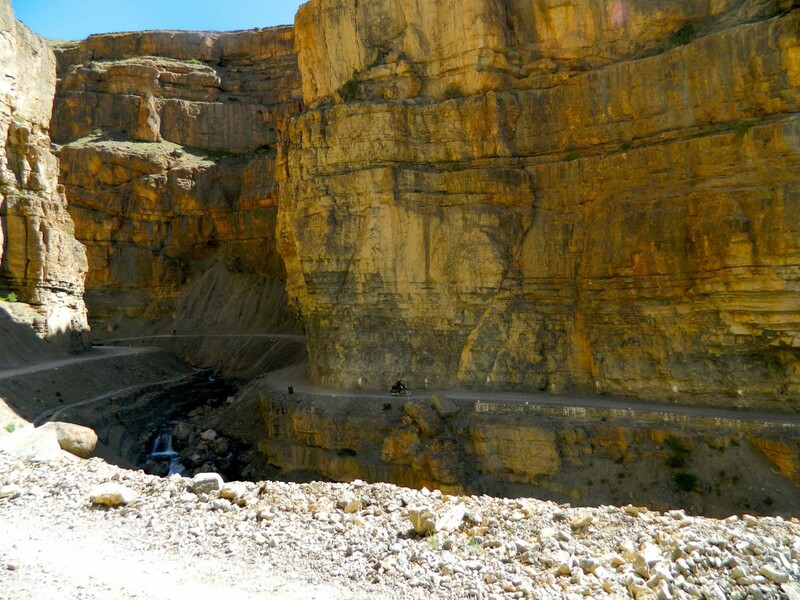 While traveling through the Hindustan Tibet Road, I was astonished at the human efforts put into its construction. It is strange that how they built the road with hand tools and without the help of modern machines. 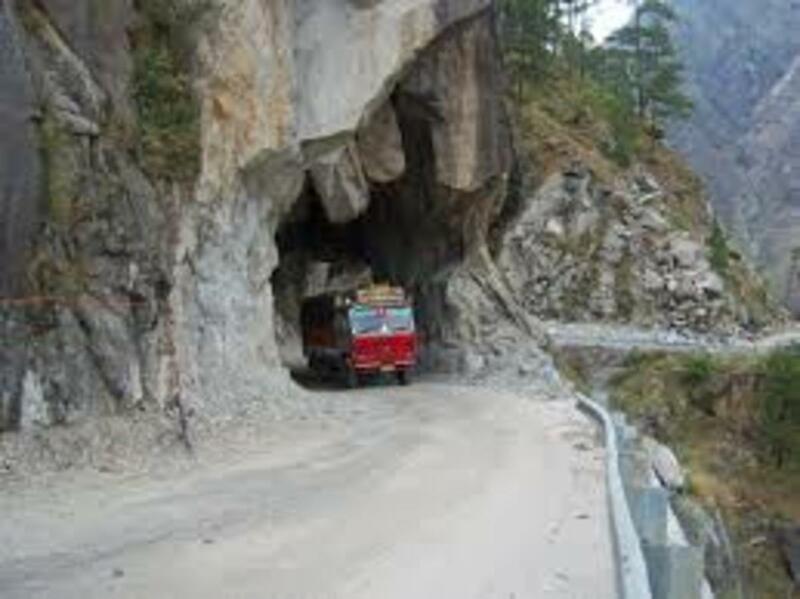 I came to know that the construction of Hindustan Tibet road in Himachal Pradesh began in 1850. 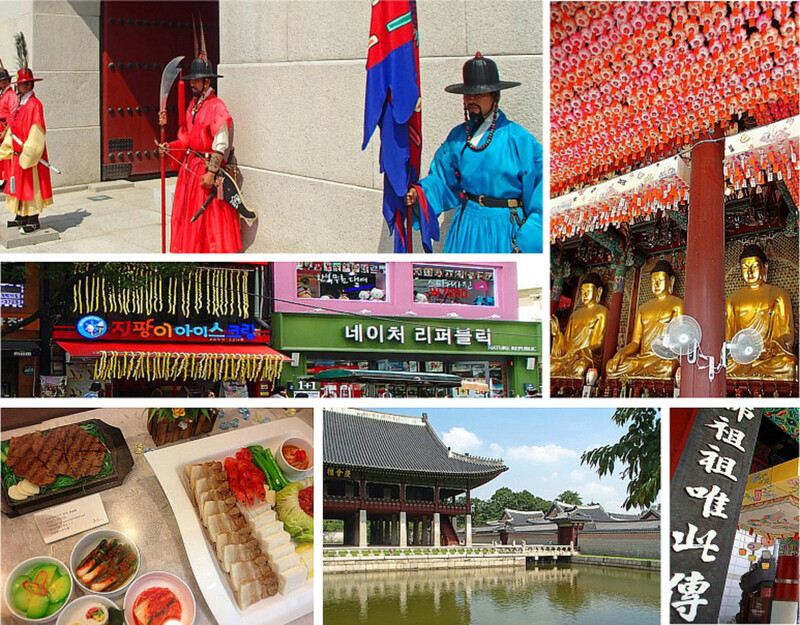 It is an exquisite feat of human endeavor, on one of the highest ranges of the world. 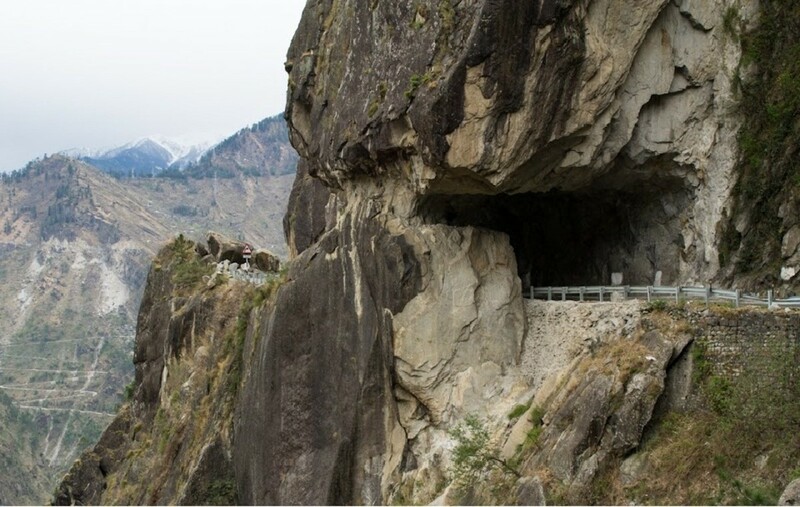 The half tunneling, done manually through the rocky stretches, speaks volumes of determination and dedication with which the highway was built. 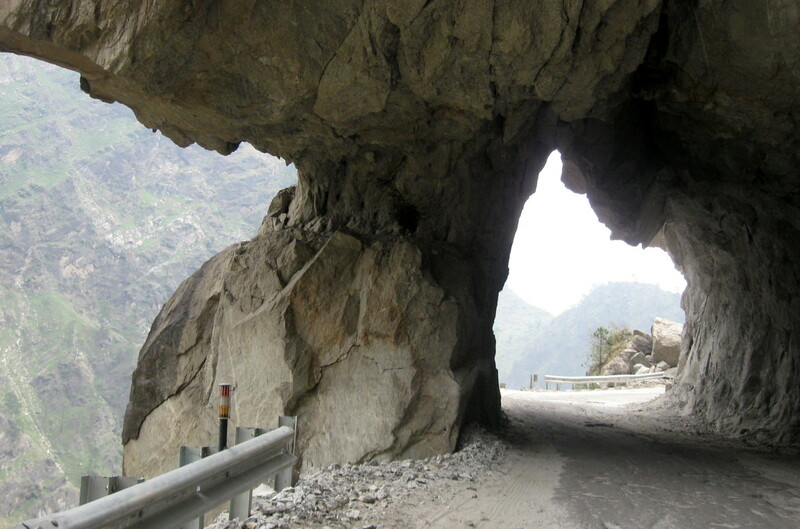 The tunneling done through huge rocks at "Khimring Dhankh" or cliff, on the Hindustan Tibet road is still considered to be the largest stretch tunneled for a road through the rocks. 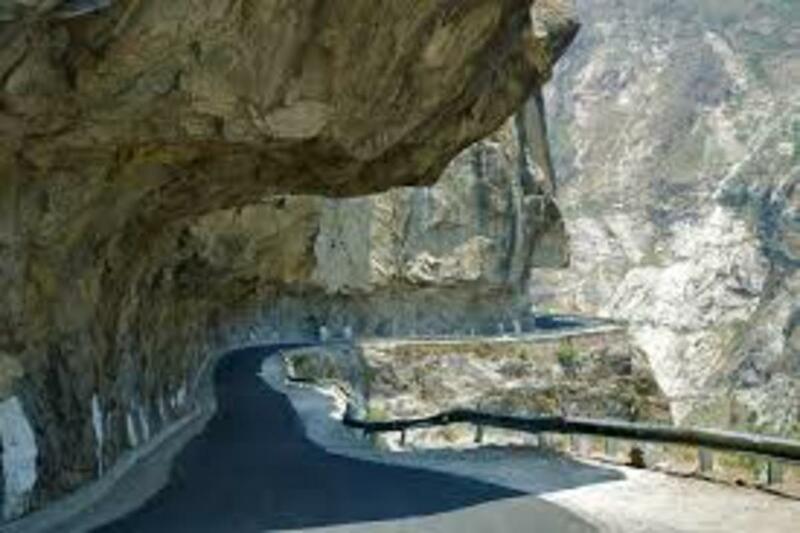 The 500 Km road from Ambala to Kaurik is also Known as National Highway No. 22. 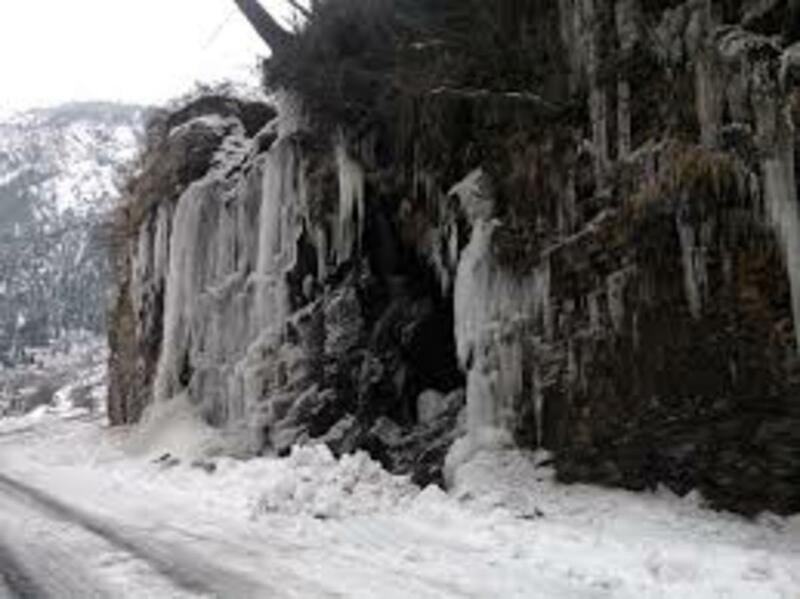 It passes through the foothills of Shivalik Ranges, Shimla, Kingal and then runs along the river Satluj and thereafter passes through Rampur, Poari, and Pooh. 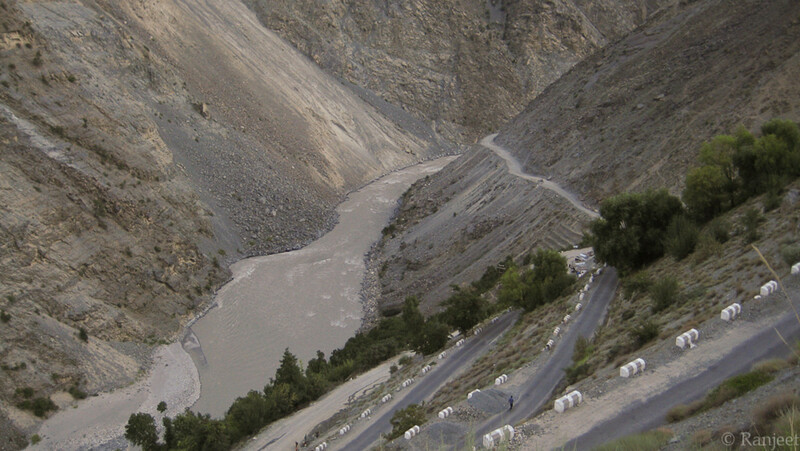 From Khab to Sumdo, the road runs along the river Spiti. 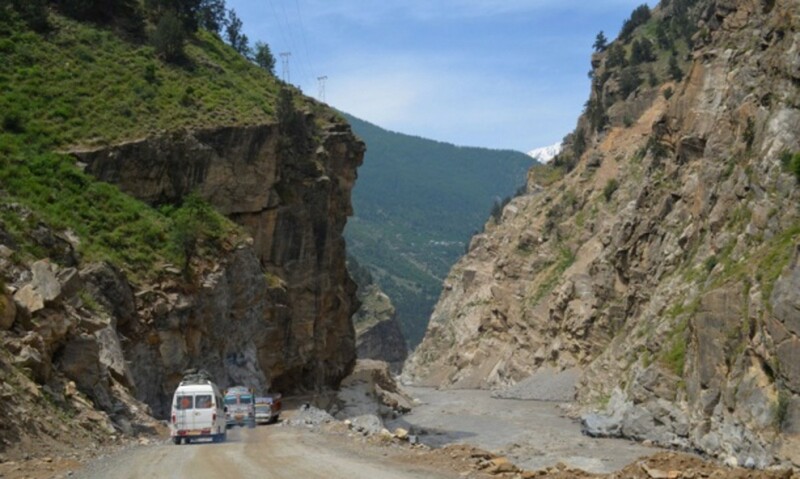 From Kalka to Wangtu, the 335 Km stretch is under the control of Himachal Pradesh Public Works Department. 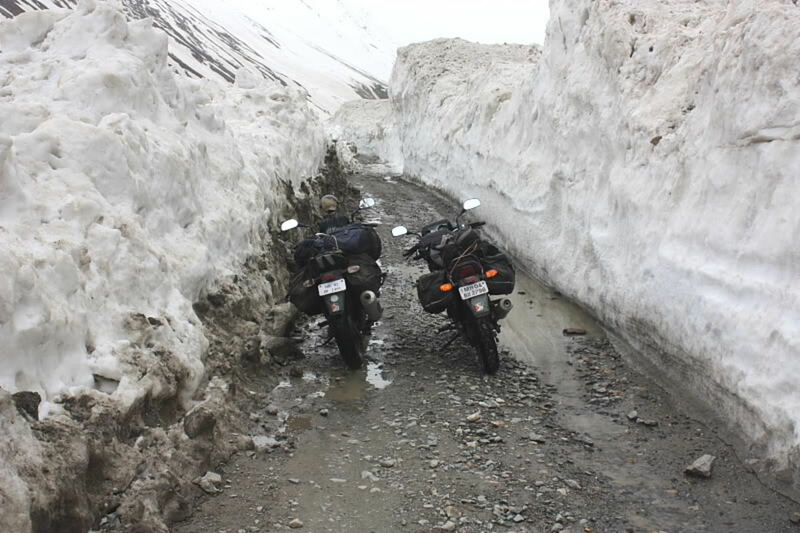 While from Wangtu to Korik, it is under the Border Roads Organisation. 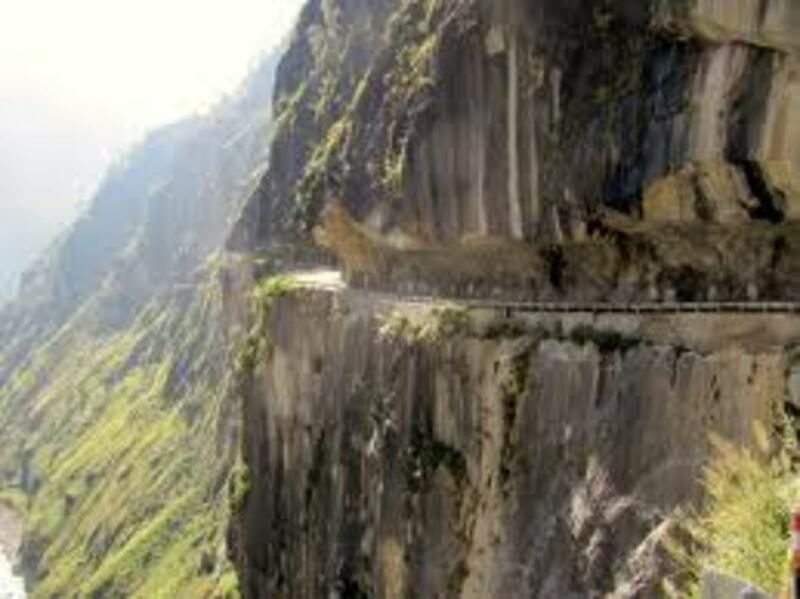 The road once connected the erstwhile princely state of Rampur Bushair, the major entry point to Tibet. But over the years it fell into disuse and was abandoned due to strained relations with China. I found that the road is getting importance as a reliable alternative to the National Highway 22, so that the local economy and trade with Tibet, through the Shipki—La border post on the Indo- China border could be revived. That is why the road is now being repaired and reconstructed. 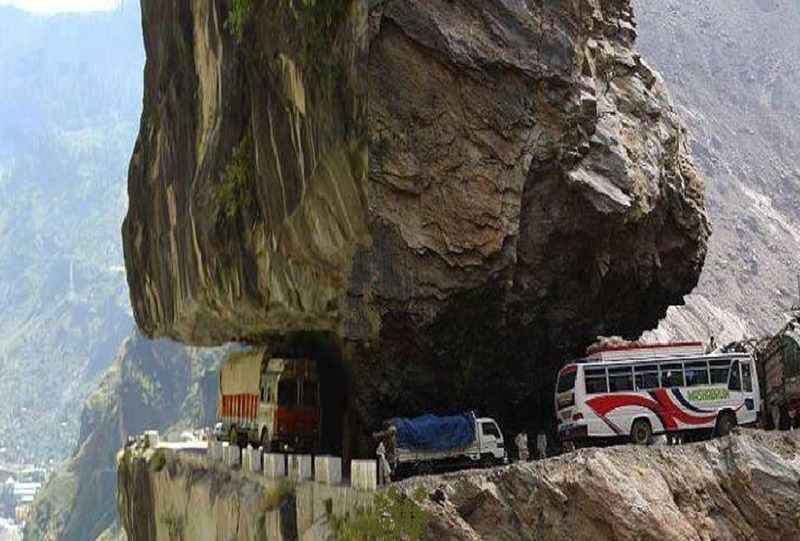 Because the strata of the Hindustan-Tibet road is more stable than National Highway 22. 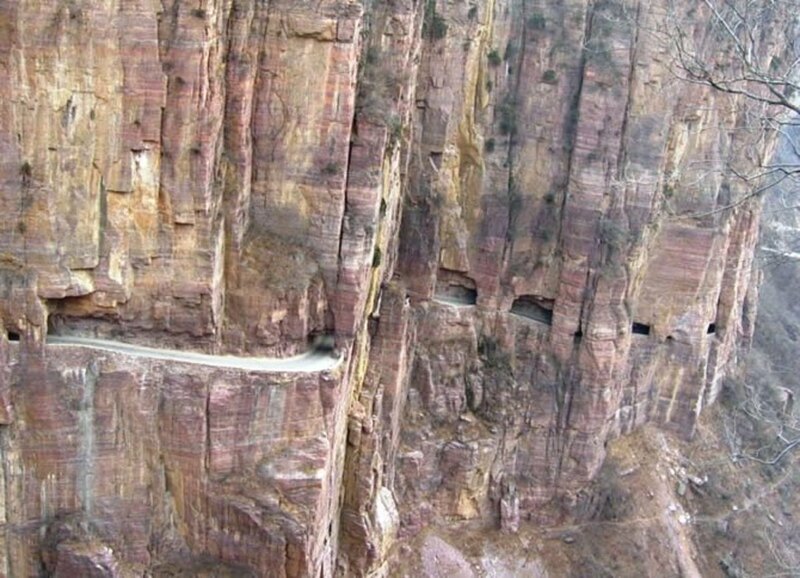 This road has been featured on the History Channel as one of the most “Deadliest Road” in the world. 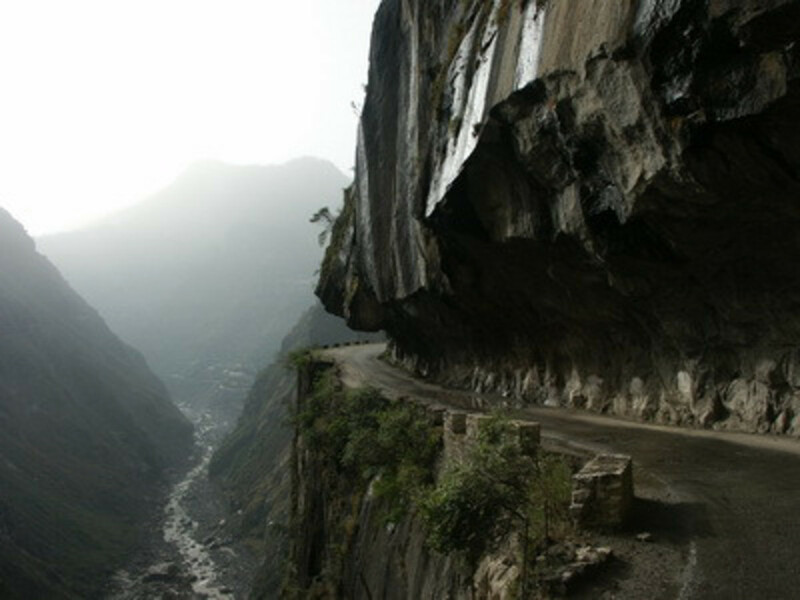 Built in the 19th century, the Hindustan-Tibet road, also known as the Silk route or the National Highway No. 22, begins from Ambala in Haryana, as an offshoot of National Highway 1. It runs 40 Km through Punjab and is known as Ambala Chandigarh Expressway. From Chandigarh, it runs north towards Zirakpur and meets NH.64. Thereafter it goes to Panchkula- Pinjore- Kalka and then enters Himachal Pradesh at Parwanoo. 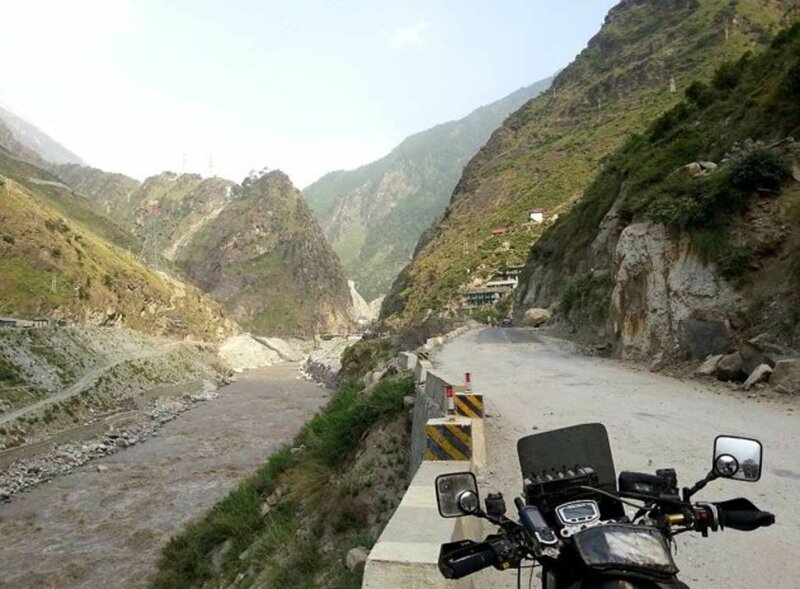 With the change in the terrain, it becomes a mountainous road, full of hairpin bends and continues north-east up to Solan and then goes northwards to Shimla. It joins the NH 88, where it repeatedly crisscrossed and goes along the Kalka-Shimla Rail track, which is a "UNESCO World Heritage Site". 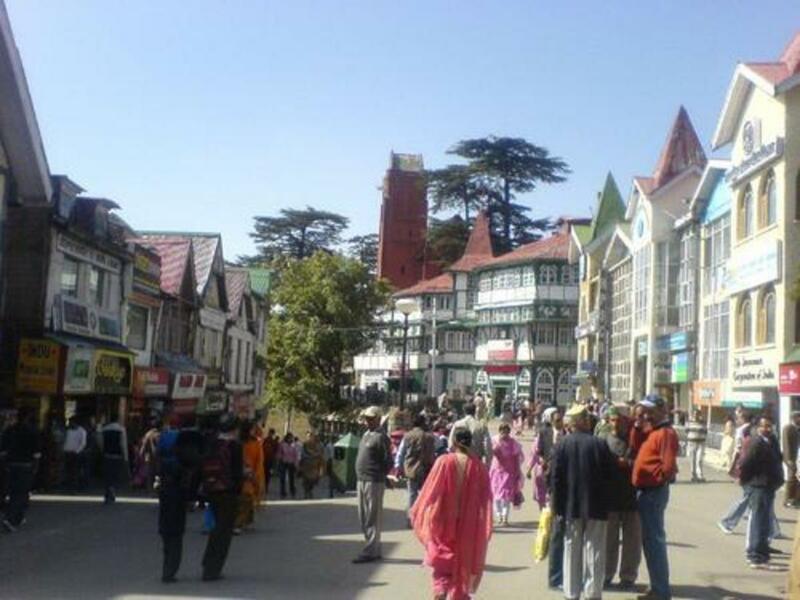 Then it heads north-east towards the Tibetan frontier from Shimla. 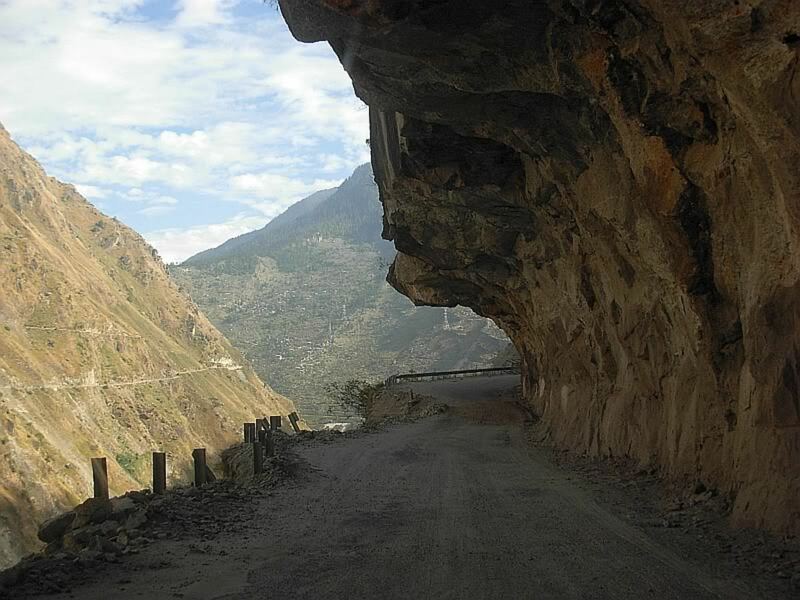 About 569 km from Delhi and 28 km from Sangla, the village Chitkul in Kinnaur district of Himachal Pradesh is the last inhabited village on this road on the Indo-Tibet border. The road reaches the border town Khab and then runs for a short distance through Namgyal up to the Shipkila pass, and ultimately enters Tibet. Here the Indian side of the road ends at the Line of Actual Control. In reality, the road does not lead to the actual border. 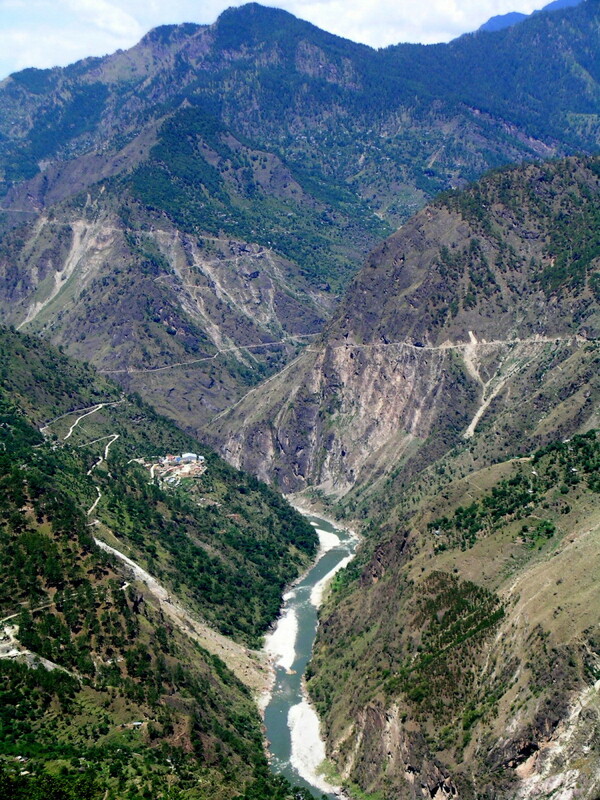 It closes about 90 km before the border and then rest of the road is under the control of Indo Tibetan Border Police, the Indian Paramilitary force guarding the frontiers there. 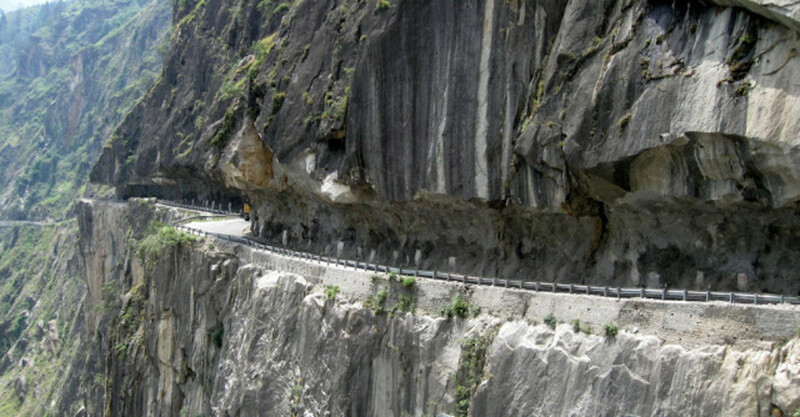 The major part of the Hindustan-Tibet Road passes through Kinnaur valley. 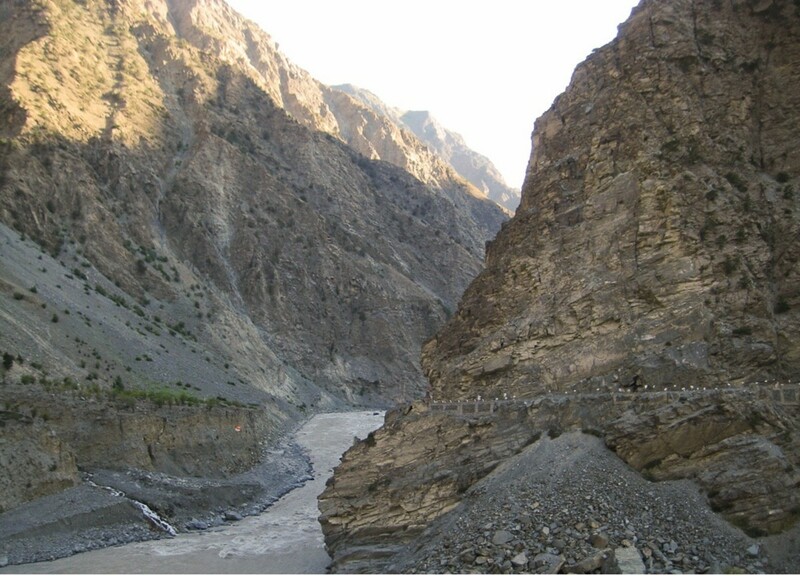 It goes along the bank of river Satluj and finally enters Tibet at Shipki La pass. 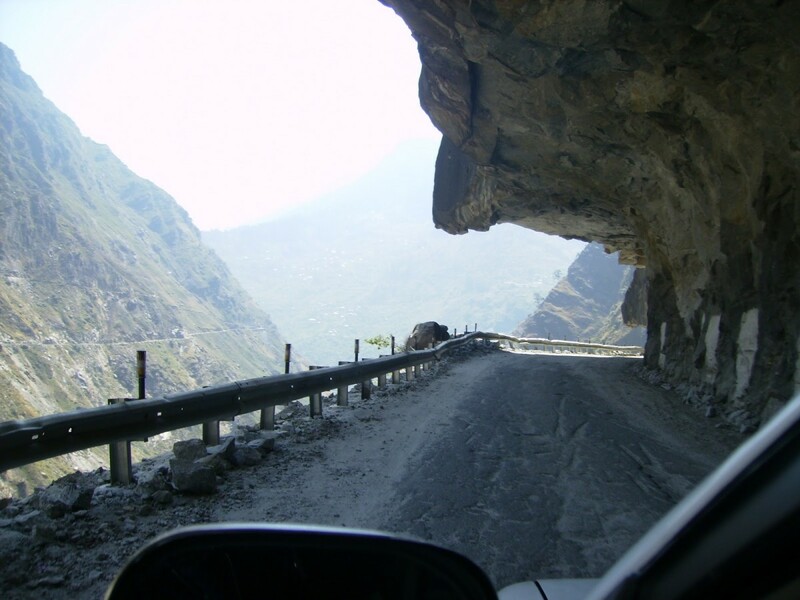 Reckong Peo, the headquarter of Kinnaur district is about 235 km from the state capital Shimla. 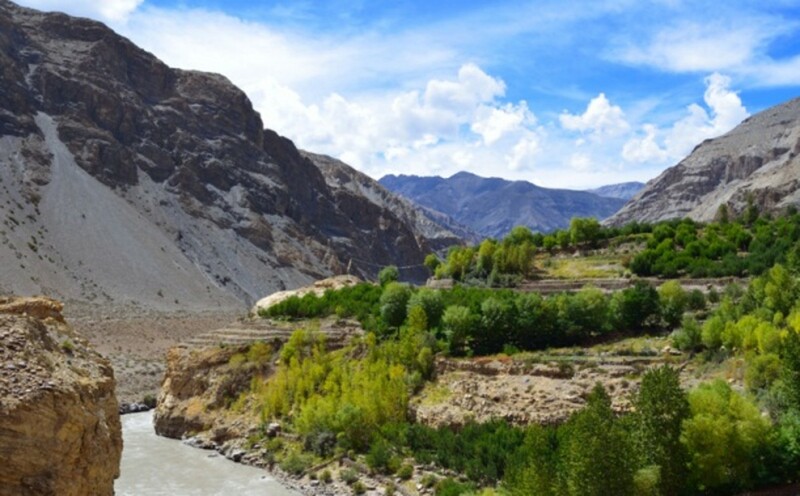 It is surrounded by Tibet in the east and is the northeast corner of Himachal Pradesh, The valleys of the Satluj, Spiti and Baspa rivers along with their tributaries are enclosed in Kinnaur by three high mountains ranges in Kinnaur, namely, the Zanskar, the Himalayas and the Dhauladhar. The district was opened for the foreigners and the outside world in 1989. I came to know that the road was built by the British Rulers, in order to create the trade links with Tibet and to initiate the monitoring access to far off regions under the government control. The British Governor-General of India, Lord Dalhousie (1848-1856), ordered the commissioning of the construction work of Hindustan Tibet Road in June 1850. Here it is pertinent to mention that the timing of the construction of the road coincided with the historic moment of sending the "Young Husband Mission" to Tibet. "Sir Charles Napier", the then Commander-in-chief of British Army in India, designed the map of the road. The entire resources and immense machinery at the disposal of the East India Company were put into the service for the execution of the project. Hence the work on the Great Hindustan Tibet Road began, which continued for the rest of the second half of the nineteenth century. 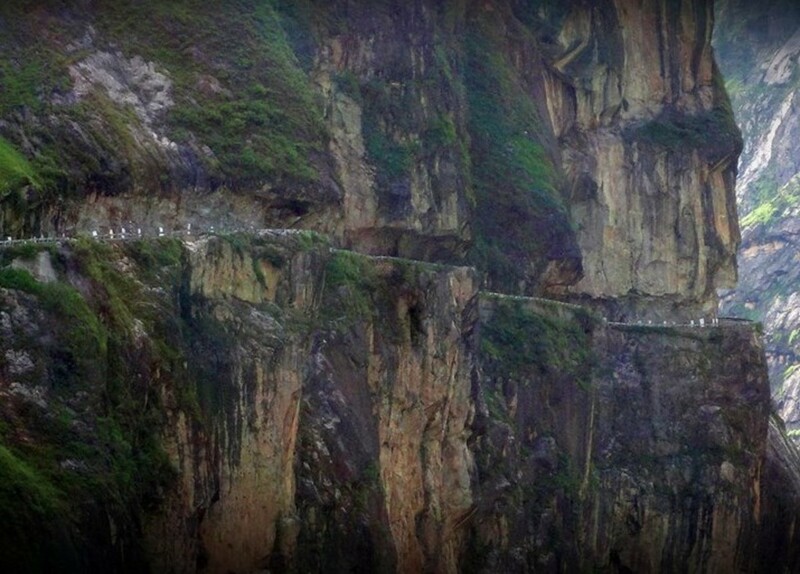 There were various reasons for constructing the road to Tibet. At that time the system of forced labor without salary called "begari" was prevalent in the hill states of Himachal Pradesh. These unpaid laborers were pressed into all types of service like transport of timber, goods and even the Govt. files to Shimla. The Governor-General Lord Dalhousie was greatly disturbed by this system and he wanted to improve the conditions of the road these men trudged for errands. 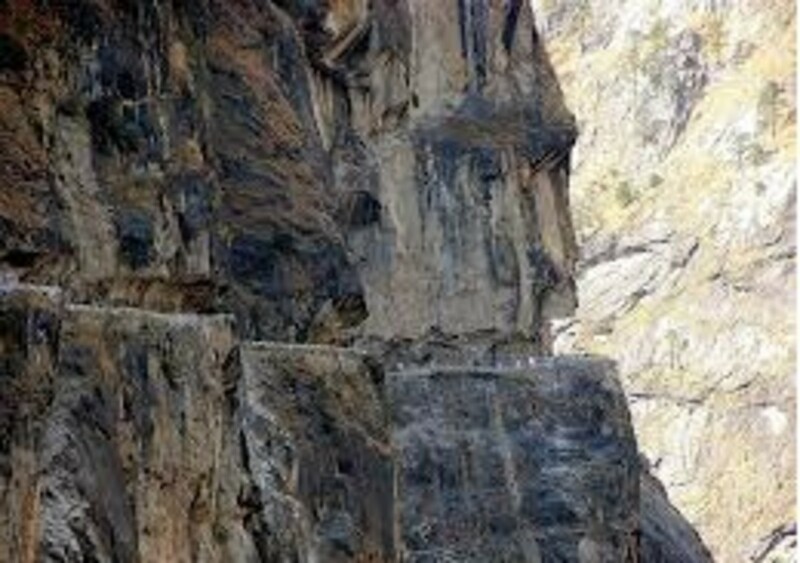 Therefore for his own trip to Kalpa in Kinnaur district, and to create trade ties with Tibet. 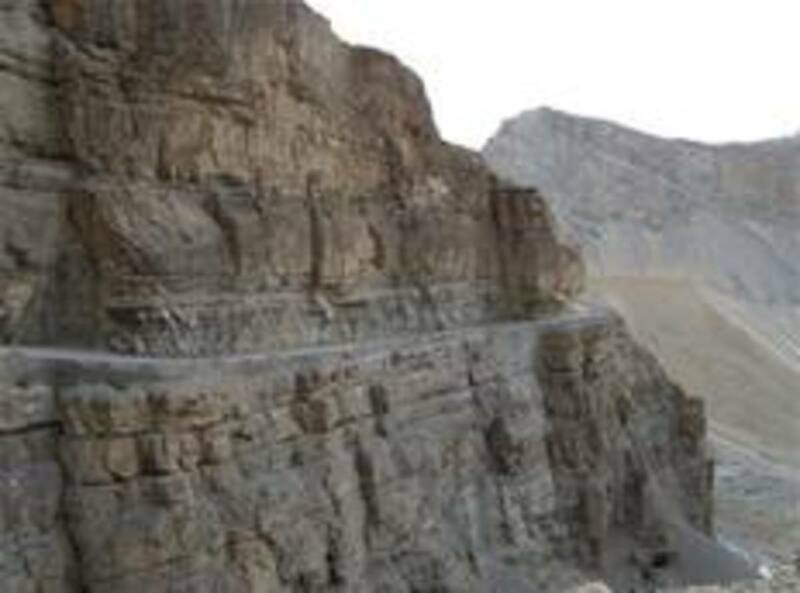 he ordered the commissioning of the Hindustan-Tibet road. 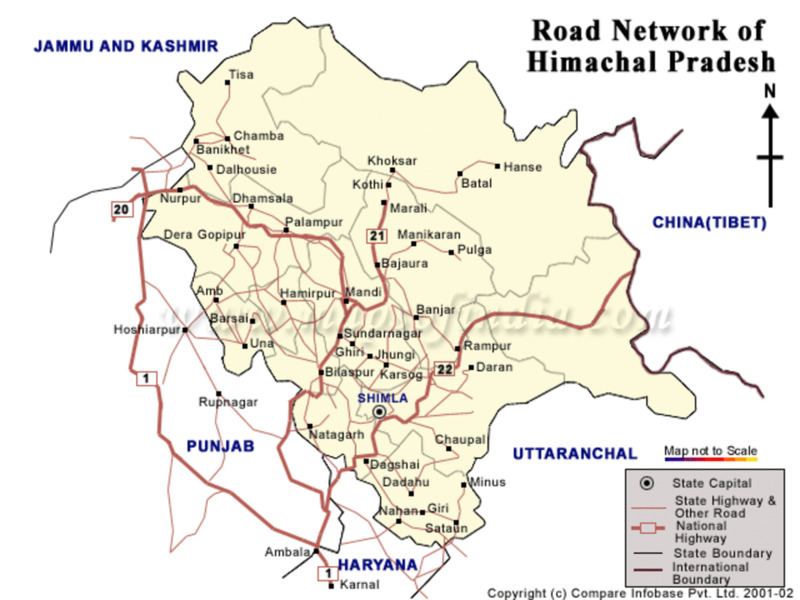 The Southwest end of the road is at Ambala in Haryana, while the Northeast end is at Khab in Himachal Pradesh. 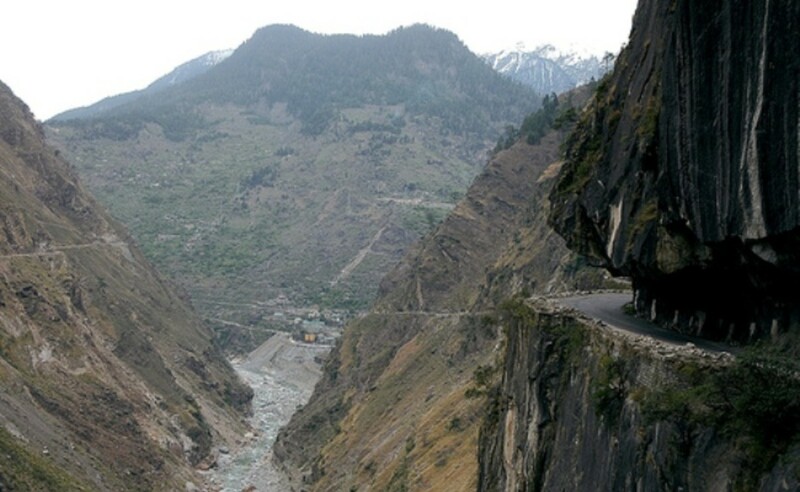 Beginning from Kalka, the first lap went up to Sanjauli at Shimla and was used for the vehicular traffic by 1860. 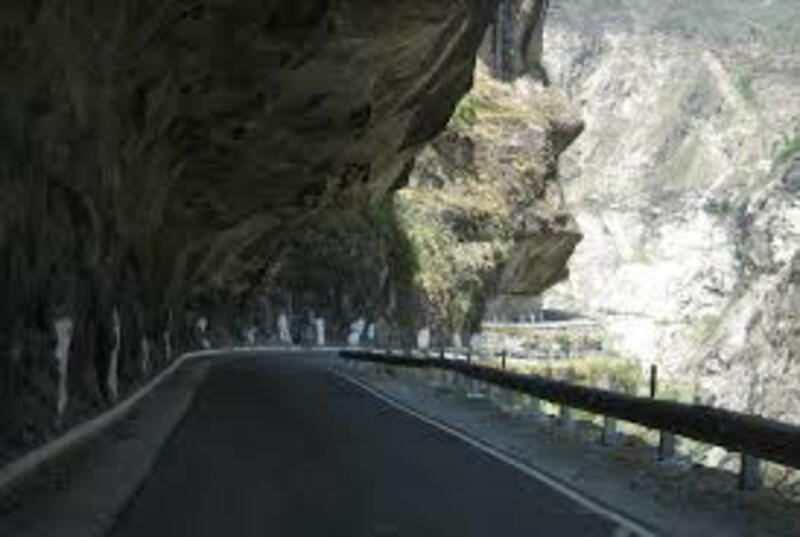 Thereafter a 560 feet long traffic tunnel was constructed beyond Sanjauli in Shimla. 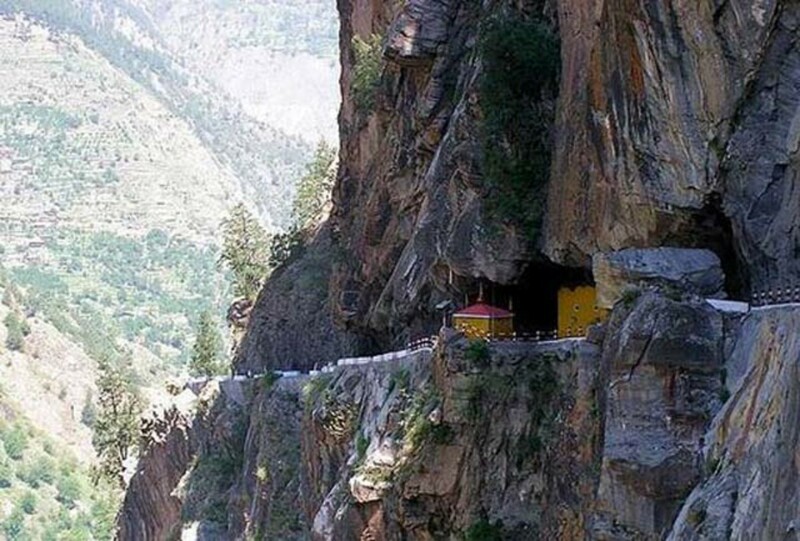 The stretch of 228 miles of the route from Shimla to the Shipki La pass on the Indo- Tibet border goes up to Shipki village in Tibet. 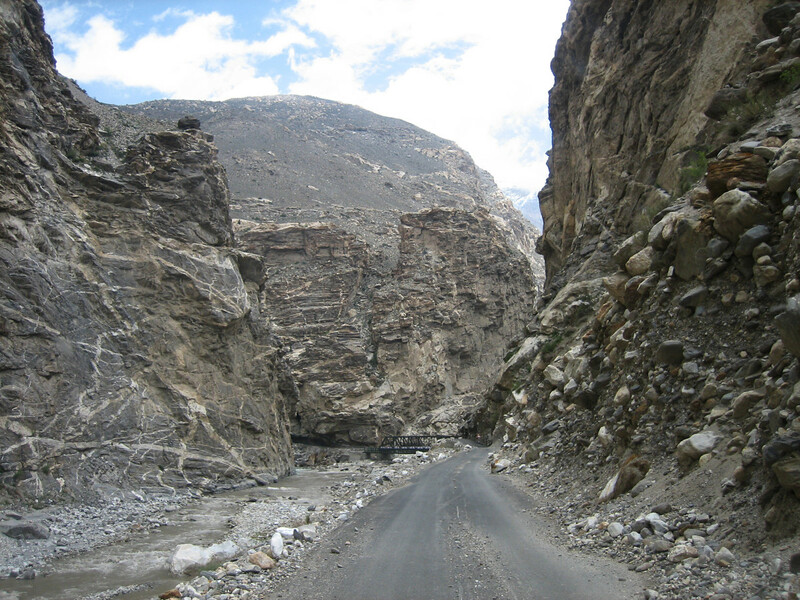 It is the same "Shipki La" pass through which the author of "Seven years in Tibet" came to India. 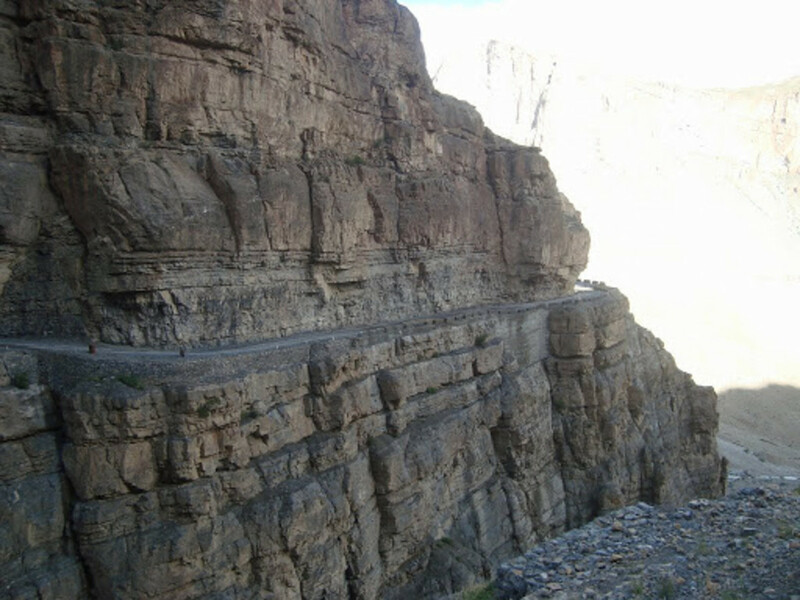 This mule track built and maintained by the British was brought into focus by Lord Dalhousie, but the area had long been on the ancient "Silk Route" to China. The items like musk, borax, wool, livestock, dry fruits, precious and semi-precious stones were traded across the route to Tibet, Kashmir, Ladakh, and Yarkand, ever Since 1300 BC. For inter-border trade the local traders used other passes also, like Lukma-La or Gongma-La pass; Yamrang-la pass; Gumarang-la pass: Shimdang la pass; Raniso-la pass; Keobarang pass etc. 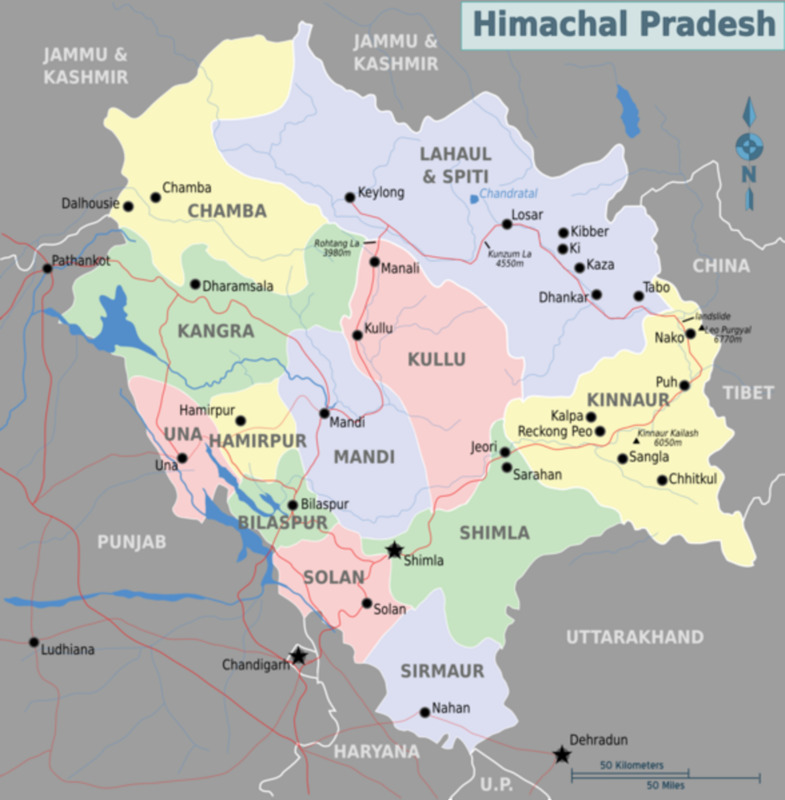 The traders of Himachal belonging to the Baspa valley and the adjoining areas used Yamrang-la pass and the Chor-Gad valley area to reach Tibet. I found the book Seven Years in Tibet, a quite interesting travelogue. Translated into 53 languages, Seven Years in Tibet is an autobiographical travel book. It is about the real-life experiences of an Austrian mountaineer Henrich Harrer during his stay in Tibet, between 1944 and 1951. This was the period of the Second World War and the time of the invasion of Tibet by People's Liberation Army of China in 1950. The book deals with the story of an escapade of the author and his friend from the British internment camp in India. They traveled across Tibet and reached the capital Lhasa, and lived there for the next seven years. The book provides a detailed description of the contemporary life and culture of Tibetan. In 1954, the book became a bestseller and about three million copies were sold in the US. Two films based on the book were made in 1956 and 1997. Besides the album of David Bowie named Earthling contains a song, titled “Seven Years in Tibet”. In 1948, Harrer became a salaried official and a court photographer of the Tibetan government in 1948. His job was to translate the foreign news. He introduced ice-skating in Tibet and made a film on it on the directions of the 14th Dalai Lama. He became a tutor friend of Dalai Lama. Dalai Lama praised the work and said that the book was the most important contribution to the cause of Tibet and had introduced millions of people to the life and culture of the Tibetan people. Harrer wrote in Seven Years in Tibet, “Wherever I live, I shall feel homesick for Tibet. I often think I can still hear the cries of wild geese and cranes and the beating of their wings as they fly over Lhasa in the clear, cold moonlight. My heartfelt wish is that my story may create some understanding for the people whose will to live in peace and freedom has won so little sympathy from an indifferent world." 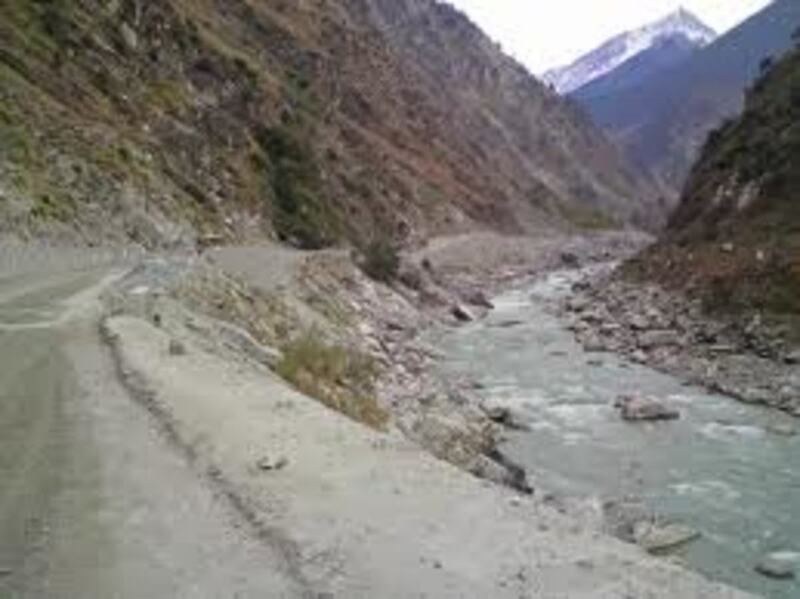 Balkhu, an illiterate Zama dar of village Chail had made a rare contribution by suggesting the alignments of the road at most difficult points along the Sutlej river. That is why this national highway could be termed as a tribute to Balkhu. In 1886, the road extended as far as "Karin Khud", about 6 Km beyond Chini, the territory of the erstwhile princely state of Rampur Bushahr. 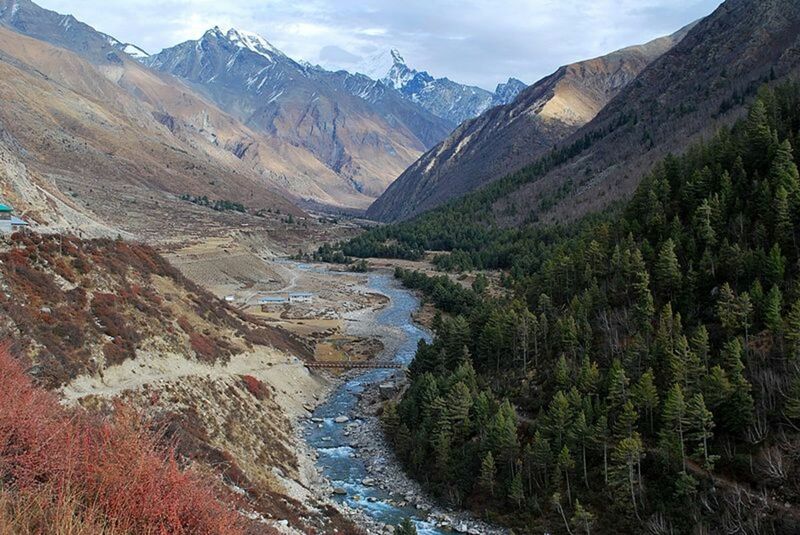 In 1927, it was extended a little beyond Namega, which is the last village on the Indo-Tibet border. 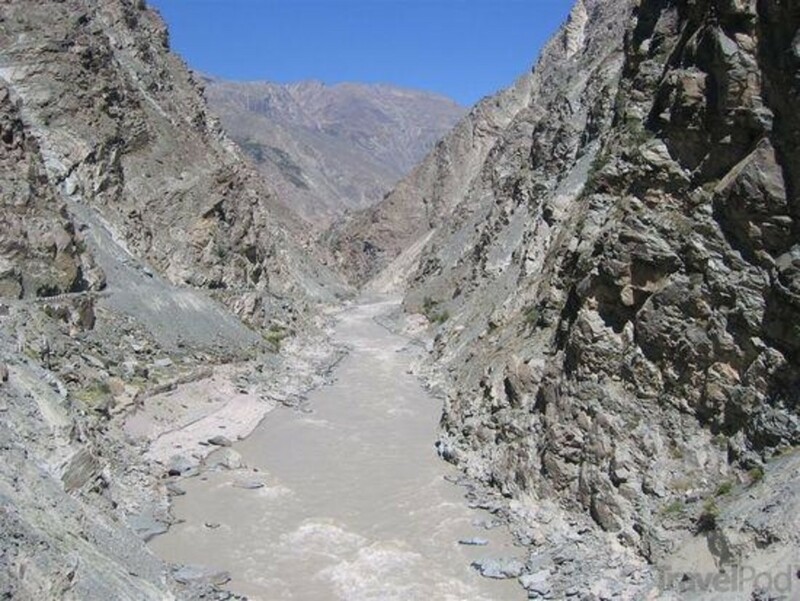 The road remained of great economic and strategic importance and was an international trade route between the state of Rampur and the rest of the northern and central Asia. 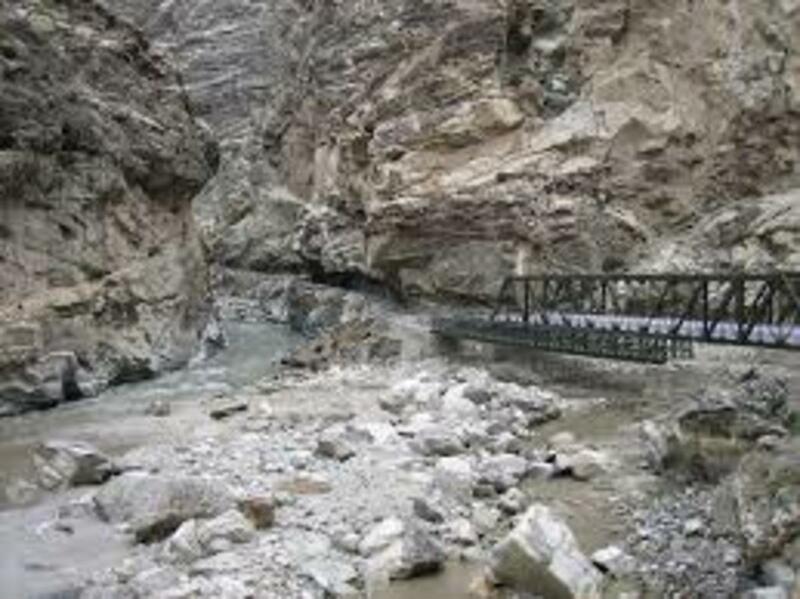 Before the Independence of India in 1947, the road was divided into two parts- the old road extended from Narkanda to Sarahan, via Baghi, Khadrala, Sungri, Bahili, Taklesh, Dararaghati and Sarahan. The development of this National Highway from a bridle path to a black top all-weather road was a long process. 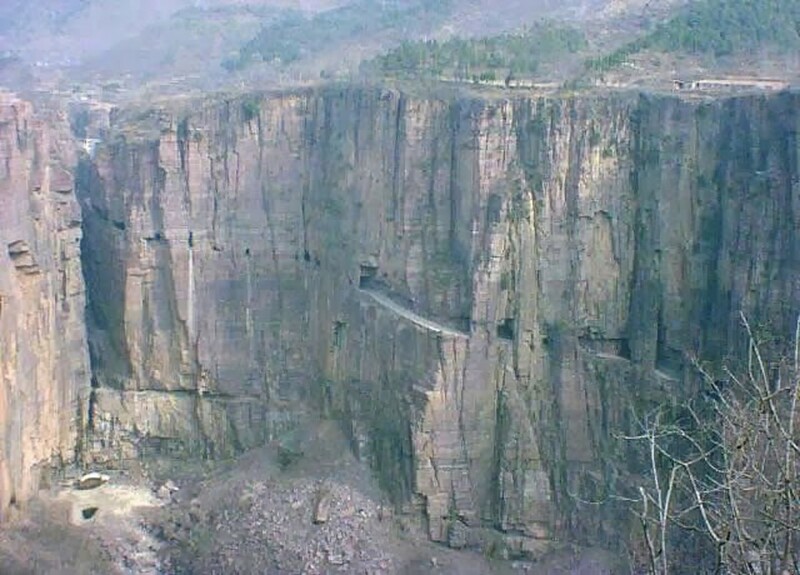 Many laborers lost their lives while cutting the rocky mountain with overhanging canopies of rocks. The significant work done by Gurkha laborers on this road would be remembered for a long time. 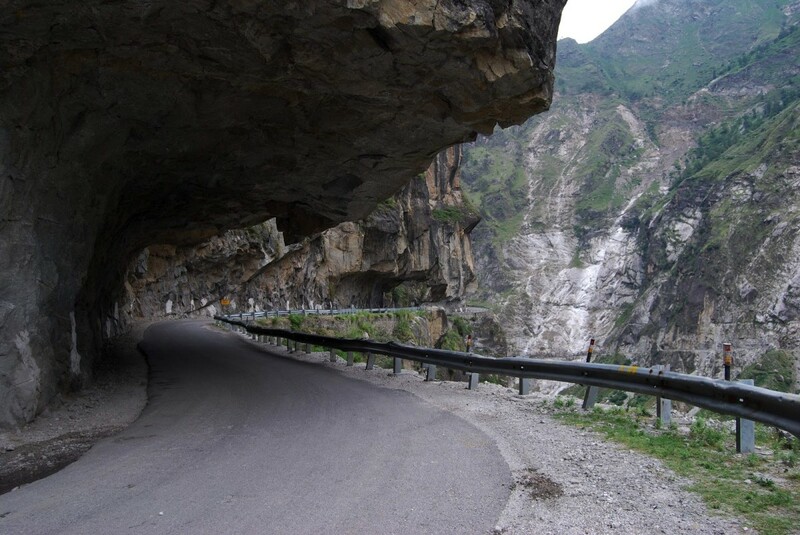 Today the road is the lifeline of Solan, Shimla, and Kinnaur districts, besides connecting the Spiti valley and the outer Seraj areas of Kullu district through various state highways. It is due to the road that the new townships have come up in Reckong Peo, Bhavnagar, Jhakri and Jari. One just cannot recognize the old towns of Theog, Narkanda, Ani, Nirmand, Rampur, Pooh and Tapri. The road has brought about the transformation in social services, which were earlier unheard of in the area and enjoyed only by the people of plains, like the educational institutions, shopping complexes, residential houses with modern amenities, health institutions. 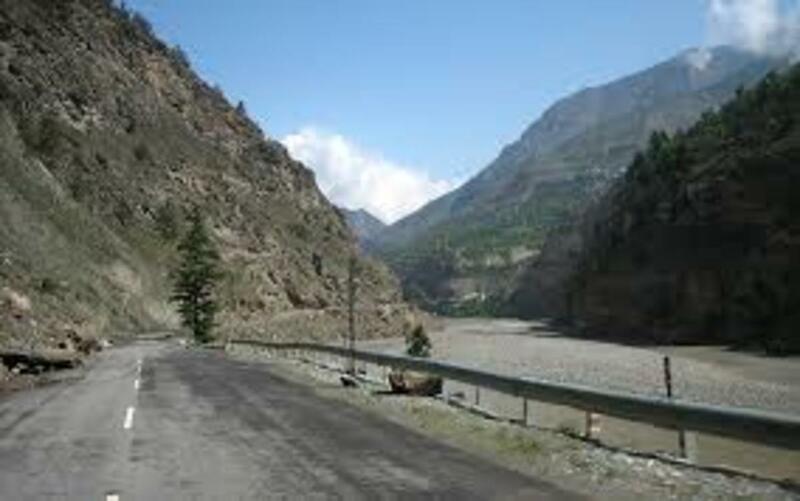 Today all interior and fertile areas of upper Shimla are connected to the Hindustan-Tibet road through the feeder roads. The widening and tarring of NH 22, has brought about a sea change in the living standards of the people. The trucks laden with fruits and goods can be seen moving day and night on this road, where only mules could be seen earlier. 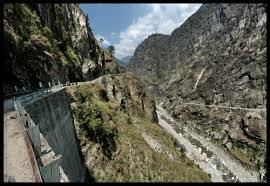 The trade on the Hindustan Tibet road began in 2004 when India and China revived the bilateral relation. 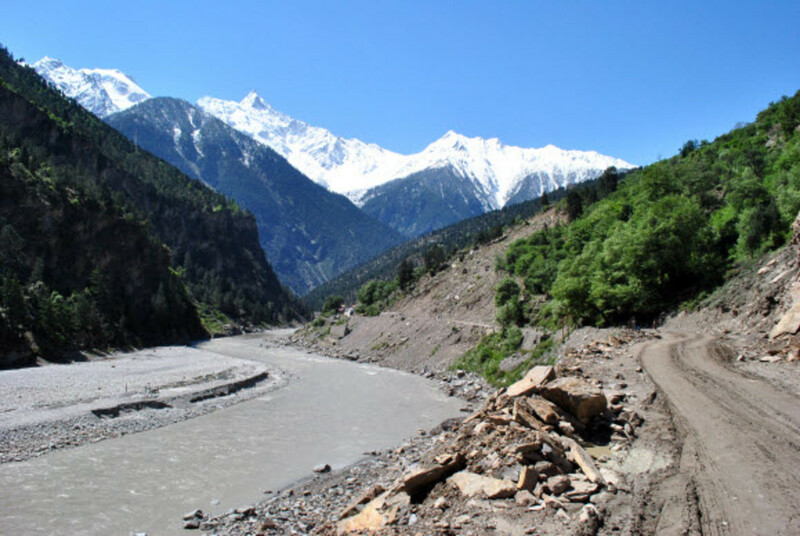 As a result, the traders from Kinnaur have made several trips to China, but surprising not even a single trader from Tibet has visited Indian border villages since then. 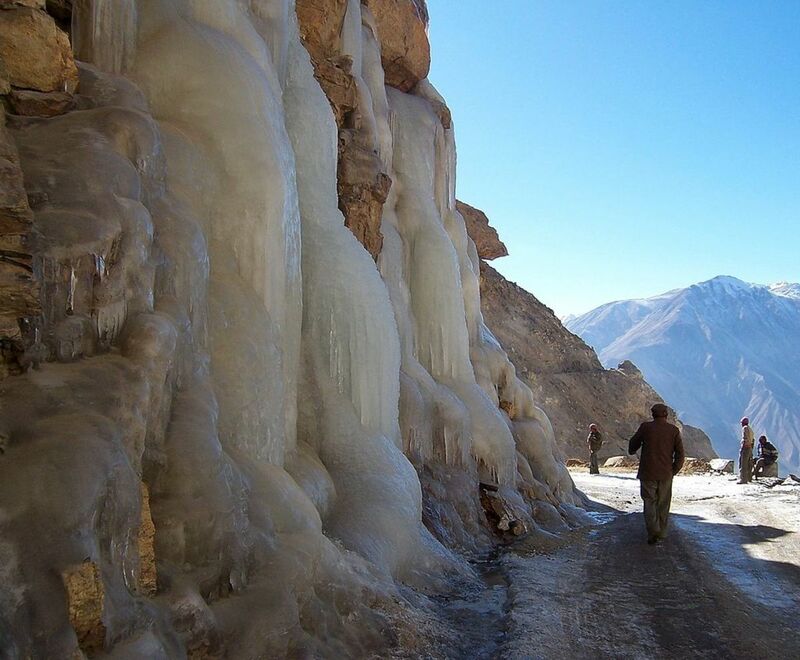 The Indian traders carry spices, oil, jigger, tea leaves and utensils to the Shipki Village through the Shipki La pass at the height of 14583 feet above sea level. These items are in great demand in villages of Tibet. They return with the items like shoes, jackets, crockery, goats, Chumurthi Horses etc which are sold during the LAVI fair at Rampur. 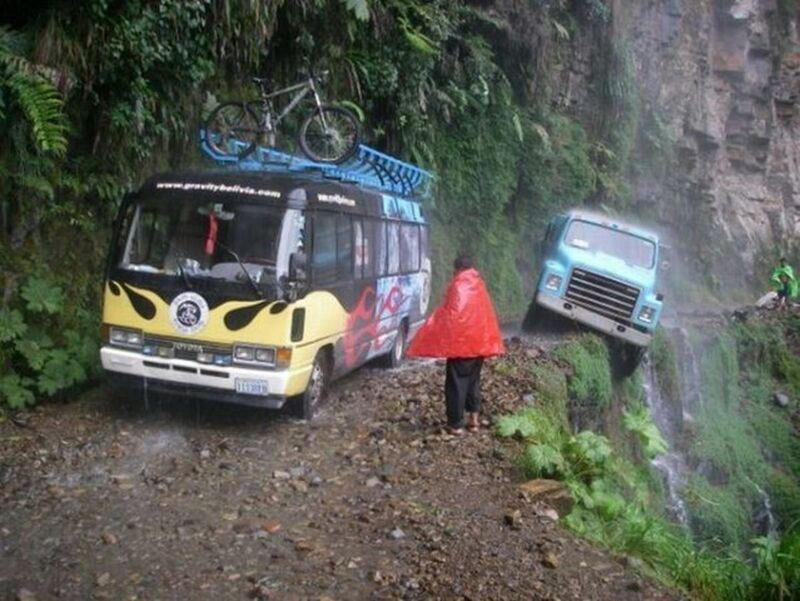 Nature often expresses its discomfort, and the road often gets blocked due to landslides and rockslides during heavy snowfalls and rainfalls. 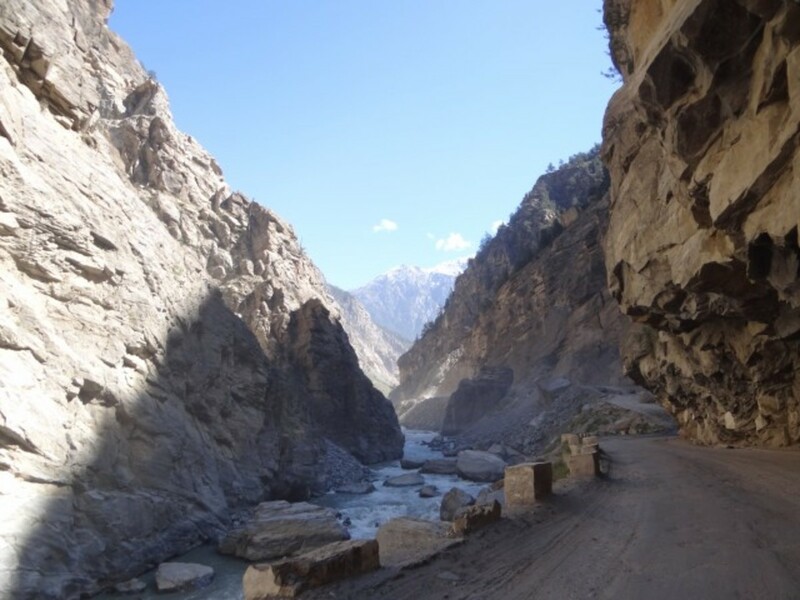 The road from "Solding Nullah" to "Sumdo" is prone to avalanches as the stretch falls in the "Great Himalayan Zone" and receives heavy snowfall about 150 cm every year. 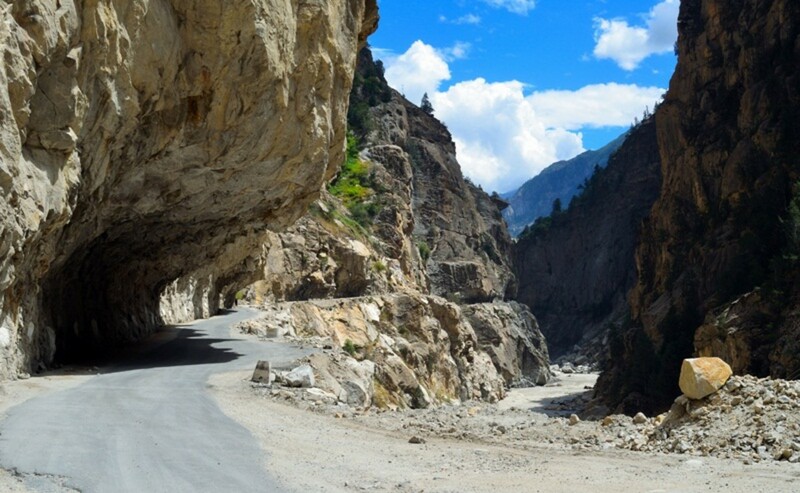 The "Malling" area is a sliding area affecting the communications of Lahaul & Spiti district. It has thus become essential to identify the landslide prone stretches by conducting the study of all hill slopes along the NH 22. 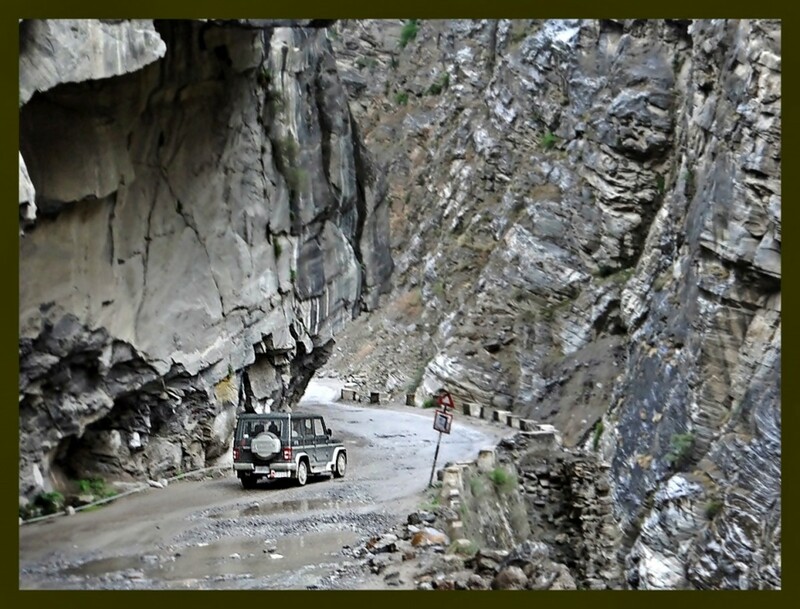 The "Geological Survey of India" has associated itself with the road alignments and the stability of the slopes along the highway. 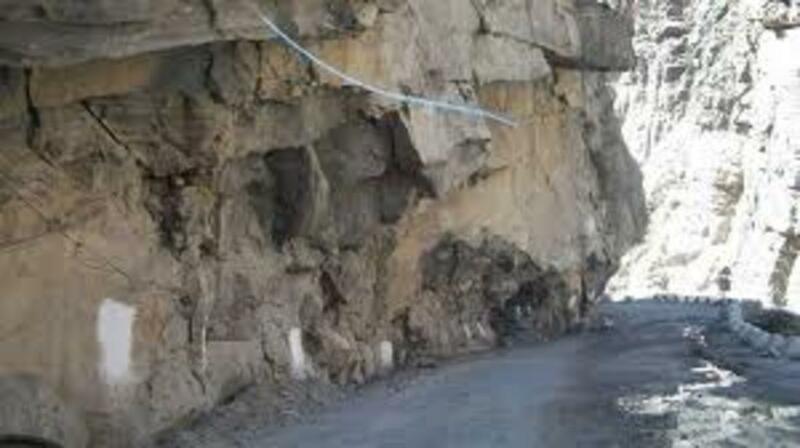 It has carried out investigations for the stability of the Hindustan-Tibet road, and the safety of various hydroelectric projects situated in the Great Himalayan Zone. 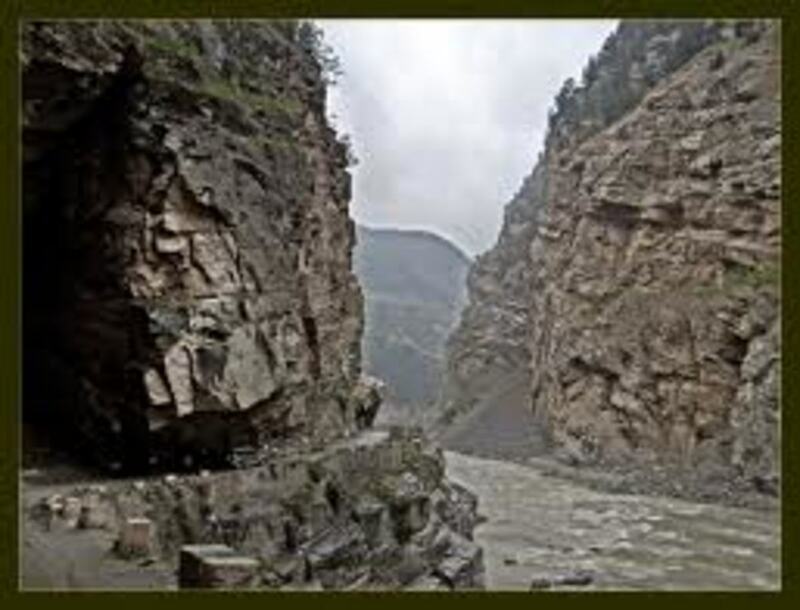 Often there is confusion about the difference between the Hindustan Tibet Road and the National Highway No.22, and both are not aligned together for the majority of the parts. 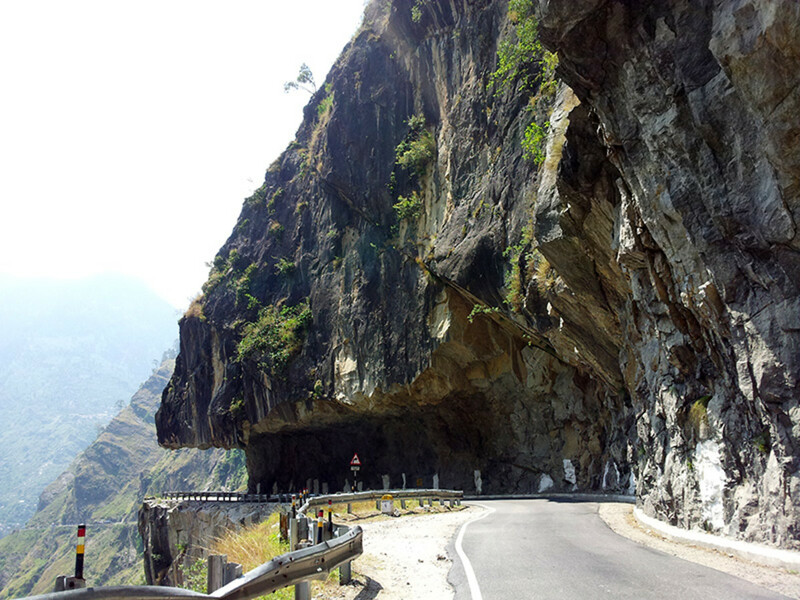 While traveling to Spiti valley from Shimla, one partially travels the Hindustan Tibet Road and partially the NH 22. 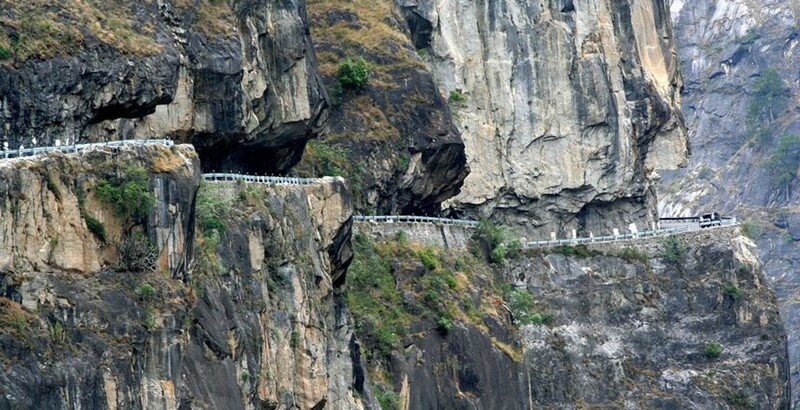 The Hindustan Tibet Road includes Shimla – Narkanda – Rampur – Gaura – Sarahan – Nichar – Wangtu – Tapri – Urni – Roghi – Kalpa – Pangi – Jangi – Labrang – Puh – Khab – Namgya – Shipki La – Shipki Village and may be up to Tibet. 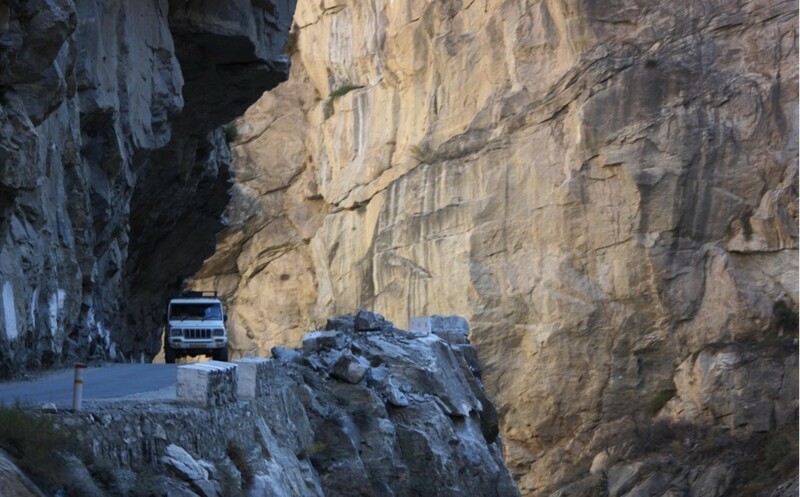 The treacherous highway connects the trans—Himalayan Buddhist area of Kinnaur and the neighboring Spiti valley to the rest of Himachal Pradesh. 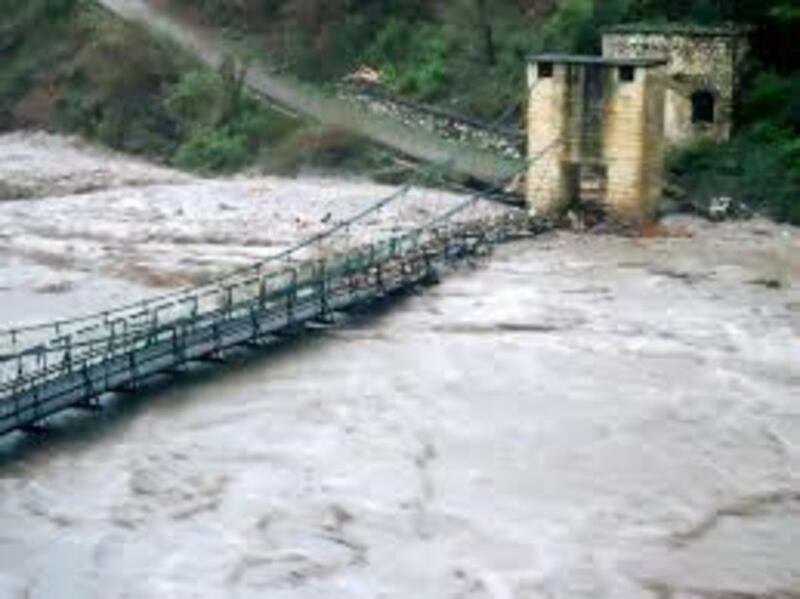 It largely runs parallel to the mighty flood prone Satluj river in Kinnaur. Close to the Indo- Chinese border at Sumdo, the highway ends. 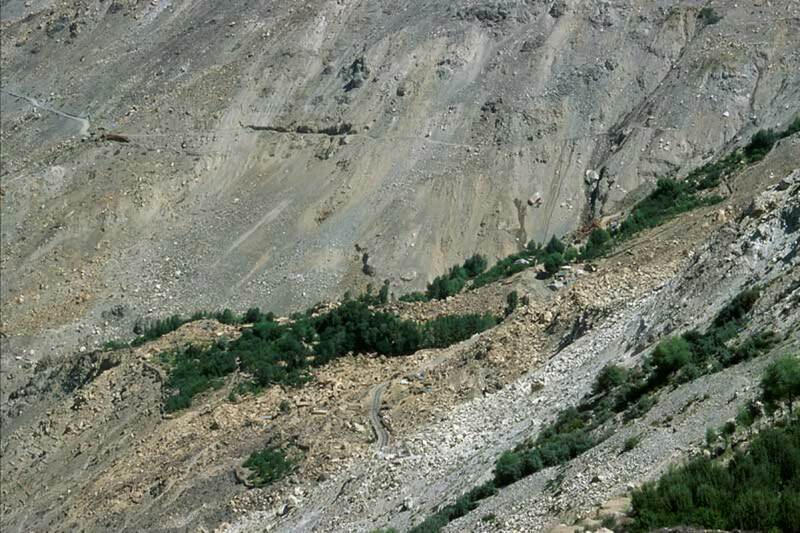 The foreign nationals visiting the protected areas of Lahaul & Spiti Valley and Kinnaur district are required to get the inner line permits or ILP. The foreigners have to submit their copy permits at Sumdo police post and get themselves registered because the region is near the “Line of Actual Control” and is within the inner line permit zone. The Indian domestic tourists are not required to have any permits. For an Indian a valid photo identity proof of nationality is enough. Confusion of old or new HT Road is due to NH 22. The bifurcation after Samdo police post is SH 30 up to towards Tabo and Kaza. Thanks, Madan for the visit and the comment. 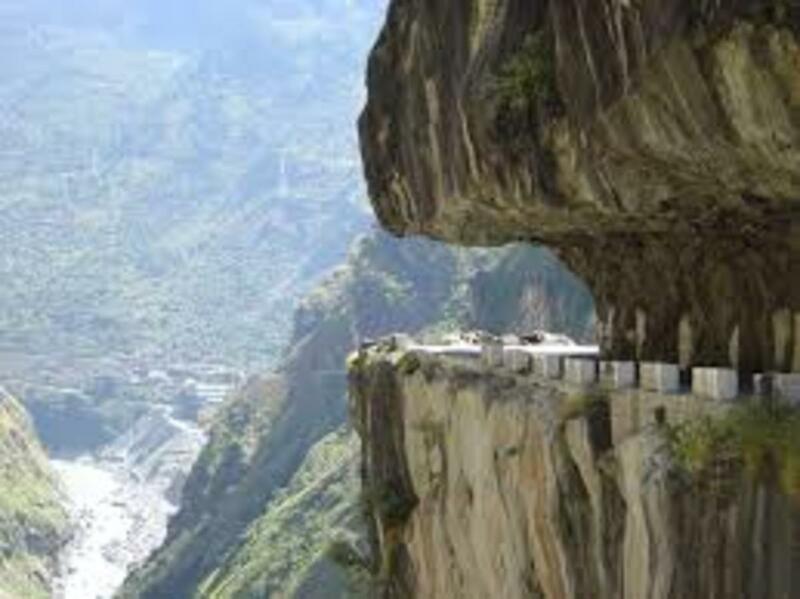 It is a lifetime experience to travel on this road. Thanks, Nitin Jaiswal for the visit and the comment. I am glad you liked the article. This article is so well written. I was totally unaware about the historic value of this route. The way author has presented the accurate facts is great. Thanks very much!! I loved reading it. Thanks, Rakesh Chauhan for the visit and the comment. 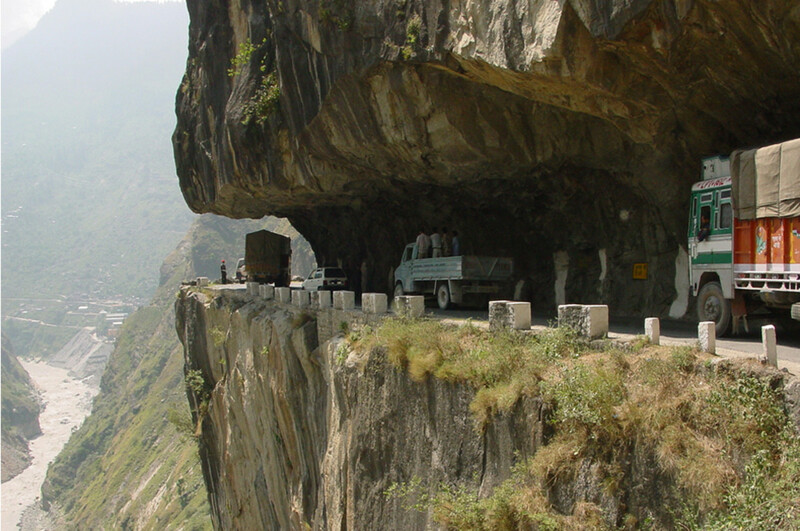 Travelling on the Hindustan Tibet Road is really a marvellous and adventurous experience. 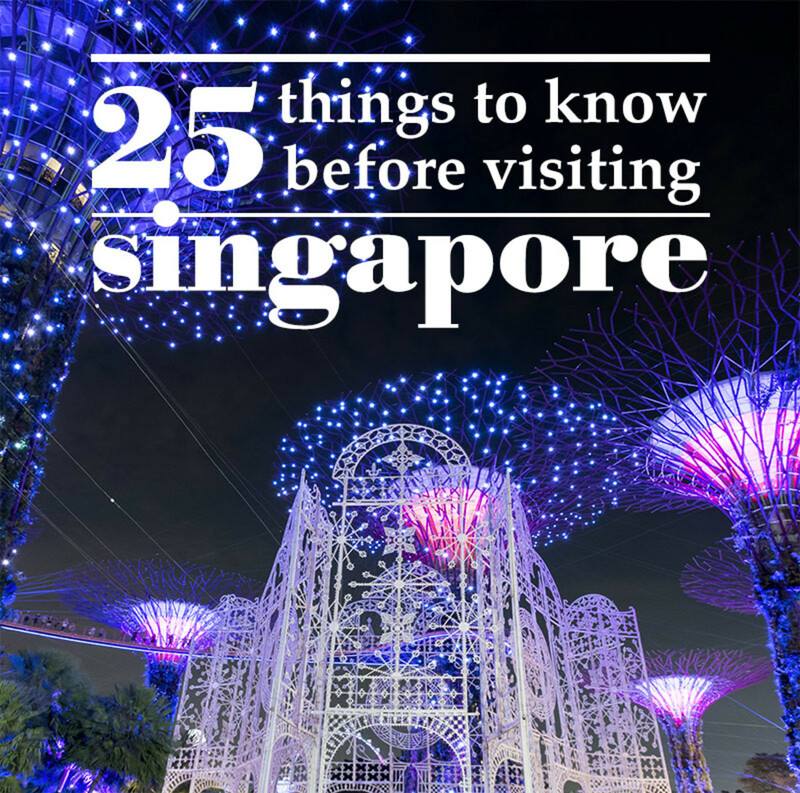 Thanks Ravigoyal for the visit and the comment. Today I have read about something which I was totally unaware. I met some people from Sikkim few days back. They were mentioning about the difficulties in travel they face at their place. Thanks shprd for the visit and the comment. This road in indeed an engineering marvel. 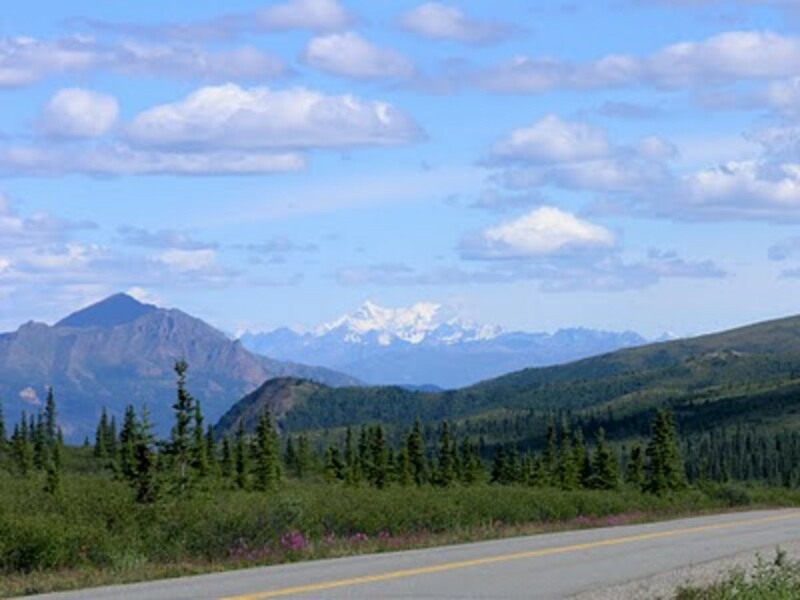 Your hub is as excellent as the roads that were built to connect the remote locations of our nation. Nice dedication to the people who lost their lifes building the nation. Thanks Bhashit for the visit. You are right, the achievement is unbelievable. Holy crap. This looks incredible. Thanks cat on a soapbox for the visit and the comment. I am glad, you liked the article. This is a very-well researched and fascinating hub! 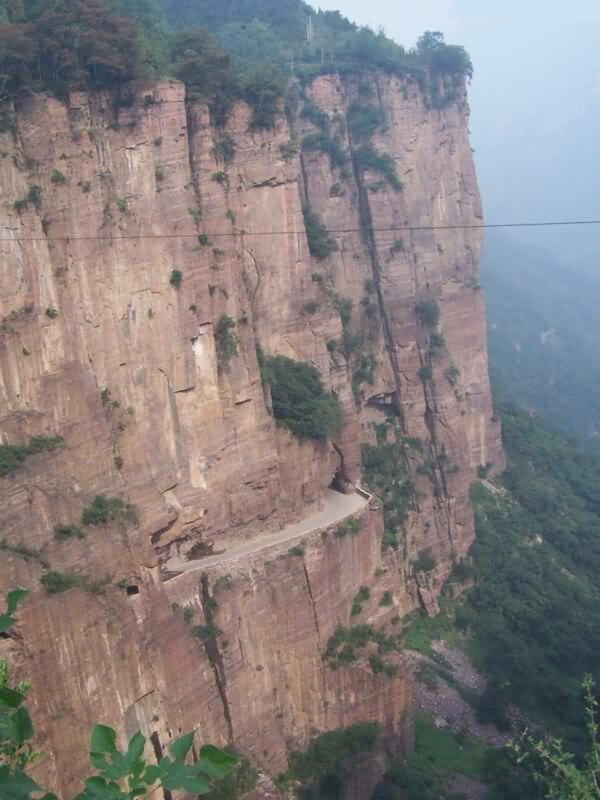 I can only imagine the bravery and sacrifice that went into the construction of this road. Wow! I really enjoyed the narrative approach to your presentation also. Thanks Akriti Mattu for the visit and the comment. I am glad you liked the post. Thanks tikuli for the visit and the comment. You are free to up-link this hub in your blog. Good luck. Thanks ravi1991 for the visit and the comment. Thanks tanveerbadyari for the visit and the comment. thanks for the informative hub, i really didn't know about this treacherous road. 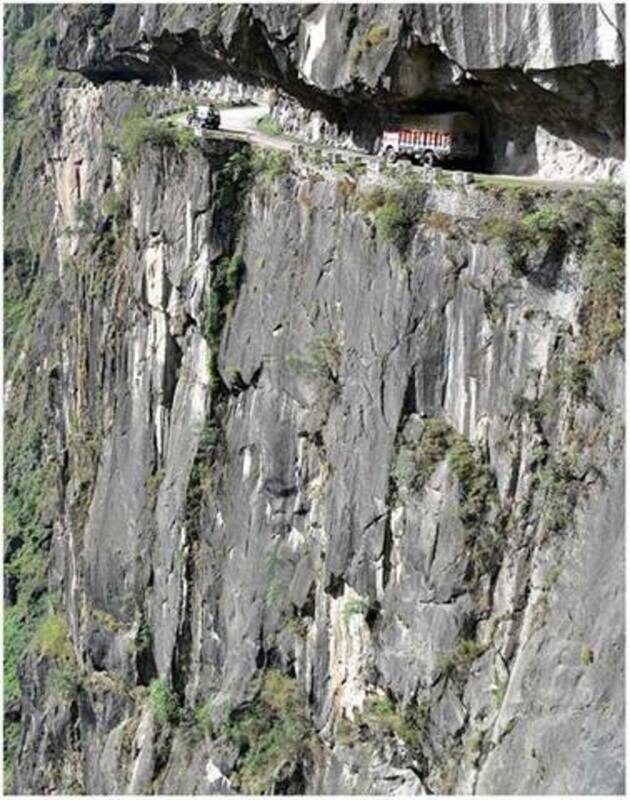 It is very risky to drive through. @sanjaylakhanpal A Great Hub ! 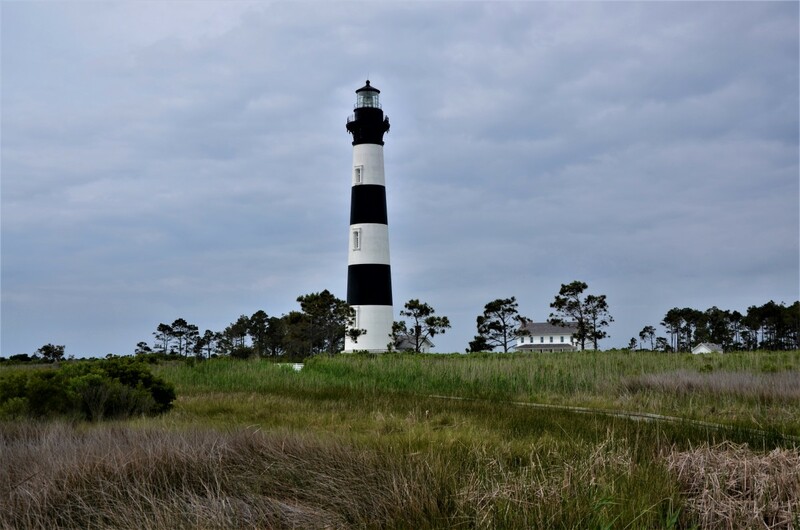 Can you write more on the engineering marvels of British era ? I would love to read and appreciate them. Fantastic photographs and a really interesting narrative. Looks like a place I would love to go to!